Eassos values every customer and keeps improving products and service to provide better use experience. 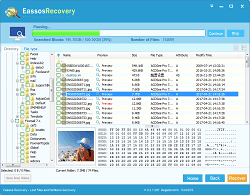 All Eassos products have free trial version so that users can test software before purchase. Trial version doesn't have functional limitation, providing free scan and file preview features, which helps users know whether software works and meets purchase needs. 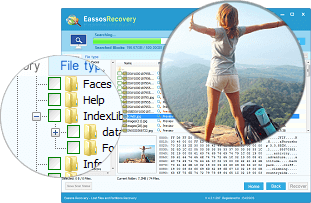 Based on this "try-before-you-buy" system Eassos provides a 30-day money backup guarantee. Refund will be approved within this guarantee only under the accepted cases below. If a purchase should exceed the product's specified money-back-guarantee period, no refund will be given. 1. Failure to read product introduction before purchasing and thus leading to dissatisfaction with the product. It's highly recommended that all customers read product description and try the free trial version before making purchase decision. Eassos doesn't refund software if products fail to meet customer's requirement due to customer's lacking of understanding of the product's features and capabilities. However, customer can exchange purchased product for correct product by contacting Eassos support team, providing the price difference between products does not exceed $20 within the guaranteed period. If the purchased product is exchanged for the correct product of lower price and the price difference won't be refunded. 2. A customer refund request on complaint of credit card fraud/other unauthorized payment. Eassos recommends the customer contact the card issuer if there is any suspicion of fraud or unauthorized payment. As Eassos cooperates with an independent payment platform, it's impossible to monitor authorization during payment. Once an order is processed and fulfilled, it can't be cancelled. However, Eassos will exchange the purchased product for one the customer would like. 3. A refund request claiming registration code is not sent within two hours after order has been completed. In general, once an order has been validated, Eassos will automatically send registration information via email within 1hour. However, in rare cases the arrival of registration email can be delayed due to Internet or system glitches, email spam settings, etc. In that case, customers should contact support team to retrieve it. 4. Purchase of a wrong product, which has already been followed by the purchase the correct product from another company. 5. Purchase of a so-called ‘wrong product', without having exchanged it for the right product within the purchased product's guarantee period. Eassos will not refund the order; whereas, a discount can be offered to purchase the correct product. 6. A refund request for part of a bundle. Eassos cooperates with a third party payment platform which does not support any partial refund within an order; whereas, Eassos may refund the whole bundle after the customer has purchased the correct product separately within the purchased bundle's guarantee period. 7. A customer has a "change of mind" after purchase. 8. The purchase exceeds the specified money-backup-guarantee period. 1. 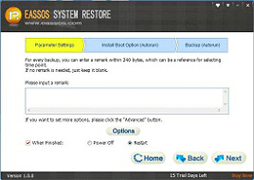 A refund request due to technical issue, but customer refuses to cooperate with the Eassos support team in attempts at troubleshooting by declining to provide detailed descriptions and information regarding the problem, or refusing to try to apply the solutions provided by the Eassos support team. 2. A refund request for technical problems after the software has been updated, if the order exceeds 30 days. 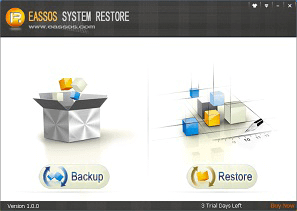 Eassos offers refunds for the following circumstances within the guidelines of its Money Back Guarantee. 1. Purchase of Extended Download Service (EDS), Registration Backup Service (RBS) or Download Insurance Service outside of product purchase, without knowing that they can be removed. In this case, we will help you contact payment platform to refund the cost of them. 2. Purchase of a 'wrong product'. In this case, Eassos will refund the price of the wrong product for you if you have no need for it. We will also assist you in purchasing the correct product from our website. 3. Purchase of the same product twice or purchase of two products with similar functions. 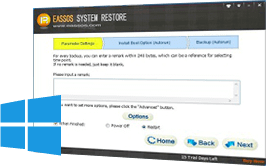 In this case, Eassos will refund one of the products for you, or swap one program for another Eassos product. 4. The customer does not receive their registration code after purchase and fail to retrieve the registration code after contacting Eassos Support. In this case, Eassos will refund the customer's order if they have no need of the product in future. Software purchased has terminal technical problems, and no solution has been provided within 30 days. 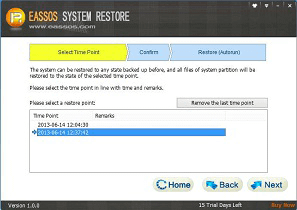 In this case, Eassos will refund the purchase price if the customer doesn't want to wait for a future upgrade.